Renting a car instead of buying one can have a lot of advantages. Public transportation can be inconvenient, expensive and a hassle. Long term car rental can be less expensive and more convenient than public transport. If you don’t need to get around by car every day, buying your own car and paying for insurance and maintenance can be an unnecessary expense. Long term car rental comes with better savings as the daily rate is a lot cheaper the longer you hire the vehicle. Not only do you get better rates you also have access to the latest models. All vehicles come with full insurance, tax and breakdown cover. Your rate is based per 28 days and can be easily extended when the hire is due for renewal. 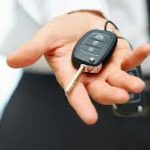 There are no contracts or leasing penalties as there would be to buying your own car. This is what makes Long term car rental a flexible option.